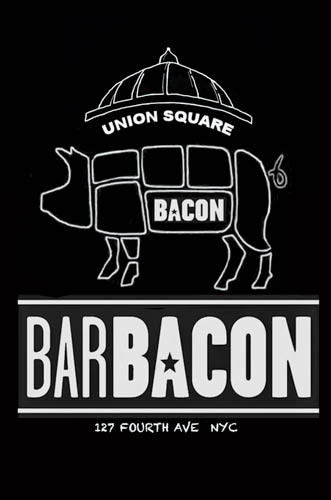 Hitting on the pulse of the new dining public in Union Square, BarBacon aims to raise the standards by introducing them to higher quality bacon and chef driven bacon dishes. In an area known for its Greenmarket and street artists, Barbacon Union Square provides the perfect vibe and experience that echos the neighborhood’s character. In this industrial chic space, with vibrant custom street art by a local artist, Barbacon Union Square’s larger space offers multiple settings that allow for a wide range of dining experiences and private events.